Do you work for Zen Planner? 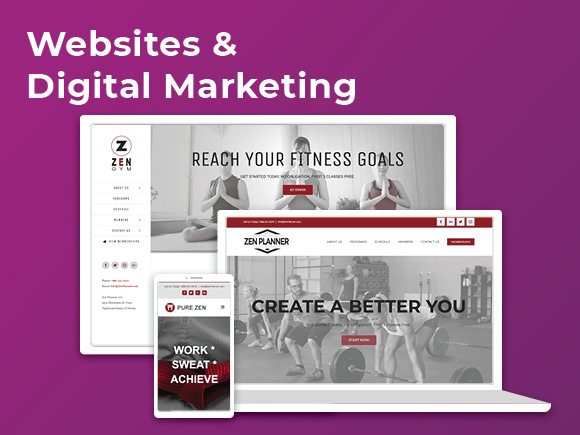 Zen Planner is a comprehensive member management software for affiliate gyms, yoga studios, martial arts schools and boutique fitness studios. The Zen Planner Suite provides everything necessary to turn your passion into a successful business. With payment processing and automated billing, lead-converting fully integrated websites, a self-service Kiosk iPad App, an engaging Member App for Android and Apple devices, easy-to-use Staff Mobile App, scheduling, automations, Workout Tracking, belt and skill tracking, email and more, you have everything required to grow, nurture and retain your valued members. Our straightforward pricing includes payment processing, and there aren't any contracts, startup or hidden fees. Every new customer receives one-on-one training sessions with an Onboarding Coach to ensure they have the knowledge necessary to use Zen Planner to it full potential. An in-house Customer Advocate team is available by phone, email and chat, offering free customer support with a satisfaction rating of 98%. To see Zen Planner in action, schedule a free demo with one of our Software Specialists! Learning about Zen Planner? We can help. "Switching from MindBody was a great move!" The UX, user exprience. It is so much easier to use than MindBody. I was using it for almost 2 years and then wanted a login system for my students and to be able to track techniques for students. I can customize my dashboard to my liking as to what I need to see, what is important to me. I even setup a birthday alert so I know a student has a birthday coming up. it even has a retail component with no additional charge. The app isn't available on Android OS yet, but the sign-in via the kiosk website works like a charm. An admin app, or mobile response and Android OS app. The ability to send emails through the software is great, I don't need to use gmail or outlook. If I want to send emails to certain members, I can click on their names, pick a template or customize the email to them. I can also save the new template. I like how the dashboard was very easy to navigate. Everything was laid out very clearly. I don't schedule a large number of classes yes, but I can see that becoming a lot easier with an app like this. I appreciate the free trial which allows you to identify how useful the app could be to your company before any commitment. Nothing I've noticed so far has been unappealing. The free trial lasts long enough for you to get an idea of what features you can utilize, or which features you don't need. If you are needing to schedule a large amount of classes, this could significantly help keep you organized. The dashboard is easy to use and would work well for any number of staff members. Helps plan classes better so I don't risk overlapping/scheduling issues. It helps me become more organized with my scheduling. It makes it easy to incorporate other staff members as well no matter how large of a company you have. "Don't get mad, get Zen with Zen Planner." Their customer service is OUT OF THIS WORLD. Seriously, I've never been so pleased with a customer service experience in my life. And not just once but every. single. time. Their employees are well trained and extremely caring, professional, & personal. Add an easy-to-use software on top of it...amazing! The setup process was a little complicated. But really, putting together all of that data, integrating a payment system, all that, it's nothing on Zen Planners end of things, it's just a bit of a task. I did wish the onboarding process was a little easier to get through, and that we could have access to replays of it instead of having to sign up for the onboarding process again if needed. I also believe you had to pay for a second onboarding experience. So when I left the gym and my replacement needed to learn the system, that made it a little difficult. I had to show her myself for the most part. Use it! If you ever run into any problems at all, contact their customer support center. They are extremely fast, reliable, and helpful. Once you're in, be sure to play around with and utilize all the different settings, there is SO MUCH you can do with Zen Planner! I loved the scheduling process, the ability to add and delete classes, events, and appointments super easily. Accepting payments, contacting members, signing waivers, all of that was solved so quickly and easily. 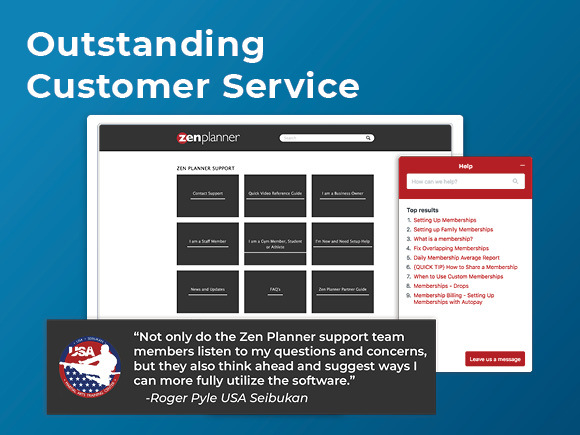 "Zenplanner gets out of the way and looks good doing it." I assist my teacher in a lot of administrative things around the studio. We've used a few systems before, but this one is simple enough for him (a not very technical person) to use and understand. The more he uses it, the better he understands it, the more that he doesn't have to use it. It's great about getting out of the way, helping him track attendance and helping students register for classes so he can adequately plan capacity. I wish the email sender had a "Code" mode so I can see (and break out of) the weird WYSIWYG stuff that sometimes happens. More importantly, I really wish that I could take a particular report and export it as a CSV or XLS file, this way I could do some more advanced analytics on it. It just gets set up and gets out of the way. You can use your existing payment processor, and you can import from your old service, or even import users from other lead capturing systems. This helps non-technical users get into our system so we don't have to keep their demographics updated. The birthday emails are a cute addition and add a personal touch. The automation functions are great, and I really should leverage them more. "Zen Planner is amazing "
Zen Planner is amazing. I used a couple of different well known registration systems before Zen Planner and they were both filled with bugs that caused their system to perform poorly at times. As a business owner, I want a product that will work as it is designed to work. I have not had problems with Zen Planner in this area. Zen Planner is a great online registration system for people who are looking for a point of sales system that integrates scheduling. They also have widgets that you can add to your website that are user friendly. 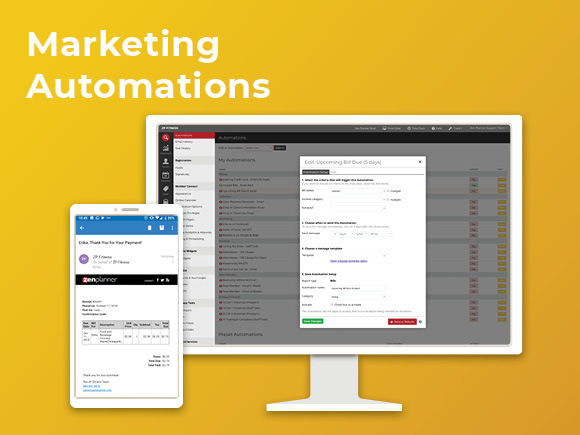 The system has phenomenal online resources for the clients, customizable data reporting and it integrates with email marketing systems like Mail Chimp, Overall, Zen Planner is a well put together program and I highly recommend it. The check out section for products are in a different area than the memberships checkout area. It's not a big deal, but it would be nice if it was all in one section when you ring someone up. "Pretty good with some hiccups. " I like the phone app feature. I also like the training they provide at the beginning of signing up. There are a a lot of restrictions on things I wish I could do. Example: I can't have a free trial option as well as an option to pay $20 for a drop-in. Why would I need this? We do not charge a local that is looking for a new gym home a drop-in fee. An out-of-towner, on the other hand, is charged $20. It's very easy for members to update their own payment methods, which saves us time having them do it themselves. I started to consider switching from MB to ZP because their monthly fee suddenly skyrocketed. I checked out ZP because a friend of mine recommended it. I´ve just been on my first on boarding session and the support team has been excellent. They really know what they are doing. Besides the system looks a lot more robust and has many other features that other soft wares don´t have. I´m really looking forward to my second on boarding session and to start running my business with ZP. I´ll post again to let you know how it goes! I can´t bill from my phone :( This feature is very helpful and I used it a lot with MB. I really hope ZP sorts this out as I was informed they would. Honestly, what I like best is the customer service. Whenever I need help, I get a real answer. It doesn't mater whether it's by phone, email, or the helpdesk. I get a quick, accurate, useful response. Zen Planner is committed to improving their product regularly, and they care about what their customers think. Obviously, I can't always get EXACTLY what I want, but when the product doesn't work they why expected, my account manager helps me understand how to work within the way the system is designed, and on occassion has helped streamline my business processes as a result. The new staff app is awesome for taking attendance quickly, too. Looking forward to seeing how that grows. I think that the appointment scheduling calendar could have a better interface both for the instructors and the users. There's a lot of redundant navigation when people want to book multiple appointments. However, I believe that an upgrade to the calendar is underway and coming soon. I recommend Zen Planner to other martial arts schools all the time. I don't think there's another product out there that can do more or do it better, and I know none of them can beat ZP's customer service. 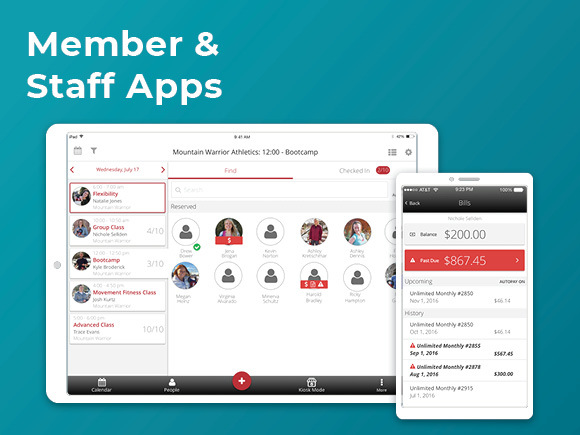 We use Zen Planner for most of the student management tasks of our business: track and collect payments for memberships (including auto-pay and auto-renew). Track rank progression, attendance, and class assignments. We allow students to register for special events and private lessons online as well. By 2017, we also plan to use the online store for our retail needs. "Great system. A little too elaborate and longer set up than I wanted at the time." They've spent time investing in their development. They have a highly contactable team and are thorough with their onboarding programs. I feel like some of the interface was outdated. It wasn't quite as plug-and-play as I was hoping for. Additionally I was required to have too many meetings in order to get things started. I felt like it was somewhat excessive, while others may have seen it as thorough and helpful! It just depends on how deep you want to set up your program. It's thorough. However, they did send WAY TO MANY emails post-separating from the program. Zen Planner was helping me with customer invoicing, email etc. "User friendly on the business and client side of the program"
The reporting capabilities are awesome. The client side as well as the business side of the software is easy to use. The inability to create a workout on the days my facility isn't opened...or maybe I can and don't know how. Tech support for setup was awesome as is the continuing support if needed. Scheduling and purchases from the clients- financial reporting. I like the ease of use of the software. I came over from another software company that wasn't nearly as easy to get set up. ZenPlanner set up is going a lot faster. So far haven't found anything that I dislike. Zen Planner is great to work with and very upfront. They want to make sure their software is a good fit for you instead of just trying to sell you. My initial contact wasn't 100% sure the software would be a good fit for me because of a couple things I needed to do. Ended up there are ways for me to do the things I need it to after going through a trail and talking to some other people. Getting more organization in my company. We were with another company for over 10 years and every time they updated something something else went haywire. I love how easy the program is. We are still learning everything and how to use it. Everything seems to flow very nicely without extra work or programing The Support is awesome. Everytime I call everyone is very cheerful and ready to help. A couple of times that I called i spoke with Mary and she is very knowledgeable and helpful. As well as polite and professional. I have not found anything yet that I dislike. It will be easier to see our reporting. I will be able to know how many students i have in each program. "Intuitive software with a very helpful and friendly support staff"
The integration of various tools into one single software package. Some customization elements are a little tricky to implement - for example we wanted to use the "ranks" feature as more of a core feature but as it doesn't allow for skill based tracking. It's a great platform that seems to only be getting better. There are a couple features missing (a tablet android app + functionality within both the staff and member app), but they seem to be constantly working on improving them. This will be our first time with a integrated merchant account. Although we could have do things before it was far more cost prohibitive on the previous platform. This is already making payment tracking so much easier for us. Anytime I have an issue and reach out to them they take care of it usually within a matter of an hour or faster. They have the best service, and attitudes in their customer service, that I have ever experienced anywhere. Their calendar functionality needs to have some beefing up. A couple features such as reoccurring events for staff, on the backend, is needed. Definitely give it a try and if you don't like it you can always go somewhere else, but I don't think you will want to after experiencing Zen. The best part about it is that I have my members coming in every day checking in so we keep track of who's in our classes. We also use their payroll system which works tremendous. Our memberships and retell are very organized in the system and I couldn't think of another way to do it. There are a million features and you can do almost anything you need. It works with accounting software by creating excel spreadsheets with any information you need such as receipt numbers, bill numbers, amounts before or after tax. Customer service is fast, they respond to any enquiry within 24 hours, if they can help with your situation by explaining, they will give detailed instructions including pictures to help resolve any issues. Super complicated. It took nearly 6 months for me to feel comfortable and be able to do some of the most basic things such as updating the class schedules. It's basically for computer programmers, if you don't understand coding and in depth websites it will take you awhile to get the hang of it. Search around for other programs first if you are just starting out, the ease of use will be more beneficial to you then trying to switch over a couple of years into it. It gave financial reports so we could update our accounting software, kept track of payments and customer accounts. But, the benefits were no greater than other similar software. I love the simplicity behind Zen planner! Makes conducting business in the Fitness industry so much easier! Being able to check in clients using their app is such a great tool and it’s so user friendly and easy for any staff member to use. There isn’t anything I would change except for just making sure any software updates should be done when there is less user activity. "ZenPlanner Has the Best Customer Support Team"
I really appreciate that their preferred merchant services providers are so well priced! Saved us a great deal of money by switching to PaySimple (preferred provider through ZenPlanner). The API was really easy to get configured and connected. I think what stood out most, is that we pay for what we need - so it scales as we do. ZenPlanner's monthly subscription rates are fantastic, coupled with good rates for merchant processing we are in good shape! I was a MindBody Online customer for a while, but the functionality was definitely not as intuitive as ZenPlanner, and their customer support team was non-existent. I have not had many issues while using ZenPlanner, but if the occasion arises, I can expect a prompt, courteous, and knowledgeable response. Overall, switching to them and obtaining their service was the best decision we have made when it comes to tracking and streamlining our processes. That the "studio" is not an app available for our instructors. The kiosk app is wonderful for students to use at the reception desk, however, our instructors work with many students individually and having the studio available as an actual mobile application would be super helpful instead of just the mobile-responsive site. Be okay with the studio not having an application, but they make things so much easier - from storing and signing waivers and gym rules, to actually migrating your database data from other providers, their service is top notch. Truly cannot sing their praises loud enough. We solved the bleeding that was happening with merchant processing from TransFirst. The ability to reach a human being on the support team is in and of itself highly valuable. All in all, it meets our needs and then some. They aim to please and really walk you through any questions and offer solutions and ideas for best ways to accomplish something. Haven't come across anything I would say that I dislike, honestly, but, then again, I don't really have anything to compare it to. If you can't figure out how to do something, ask! Lots of times they'll help you figure it out and if it's not something they can do, frequently they'll say "You bring up a good point and we'll put that forward for consideration in the next upgrade". Growing an existing business that really fell by the wayside. The previous owner took her eye off the ball and lost instructors and customers. I don't think she used ZP to it's full potential either. I feel that I really benefit from the ability to activate emails based on certain customer actions and keep track of attendance, membership, reschedule classes, and emails, etc. etc. etc. It's really a Godsend. I run another fitness business which is a franchise operation, so the data base is not my choice. I wish we could use ZP for our business needs there b/c it would really make like so much easier. In short, all of the functionality of our CRM is tied directly to payments and attendance for customers. It is very easy to use. They take our suggestions for changes and actually make them. The team behind the product is wonderful as well. Even if we have the rare issue and it happens to be on a weekend, we still get an immediate response. There are a few things that are duplicative and certain areas that aren't exactly what we would like for our vertical. Each time we think of an area of improvement, the ZP team is able to assist us to make it awesome in a future release. We looked at every product on the market and Zen Planner easily fits our needs including price. It was a no brainer to incorporate the ZP team in to our world. We will be clients for life. Zen Planner saves us at least 8-10 hours of employee time per week. That alone is enough to keep us a customers for life. The cost savings on this alone is brilliant not to mention the integration and ability to have the entire staff on one platform. Very user friendly and easy to use. It is super easy to get reports from it. Even for people not that great with technology and computers... great! Only thing I would change is the color scheme. But honestly, it is mostly a personal preference. It also bugs me that there's not a search bar at the top. Awesome for people in the business who don't care much for technology or simply are not as good with it. The check in app, however, could use some changes. It crashes quite often but other than that is pretty user friendly. Love that if my clients forget to RSVP I can simply look for them with their first name or last name. It is a robust system that has everything I need without being complicated. Unable to edit default reports. Requires you to make a new one. I have been in the software industry for 8+ years in a sales, biz dev and operations role. I have also beta tested the products we released. Zen Planner is a great software for the fitness industry. There are no down times and have planned update release times to ensure that it does not interrupt operations. It is easy to use and has most, if not all information needed to properly operate your fitness business. Reporting. Knowing our numbers is essential to running our business. The data storage - it can record anything and everything, and then report on it for you.... and if it can't report it, you can extract to a worksheet for further detailed reporting. Also the automation and email communication templates are great - so flexible. Plus it does all the 'must haves' too!! Nothing really.... only that there are features that could be added that would improve it more, I.e. workout tracking that recorded two variables and a calculation, like run time and distance then calculate pace and track it. Be prepared to invest in it... The return is awesome!!! I love it!! More flexibility than my previous software, consolidated the use of two different systems. I've been using Zen Planner to manage Rocky Mountain Self Defense & Fitness since 2010. They are great! I've used a lot of other systems over the years and they are great from Tech support to adding features we request. The plat form is easy to use and our students love the member portal. "Waited far too long to switch to Zen Planner!" Zen Planner is powerful, and yet very intuitive and easy to use. The on-boarding sessions and support are fantastic, but even just using the on-line support site is user-friendly. (The only set-up and data import issues encountered were because I did not follow the steps correctly, definitely not an issue with Zen Planner!) The interface is very clean and user-friendly. Everything just seems to work together, unlike some other competing products that seem more of a collection of separate parts that were "forced" together. Haven't found anything yet. Implementation is still relatively recent. Small, independent fitness club. Replacing previous software. Time savings significant with move to Zen Planner, along with large increase in functionality. I have been a personal trainer for over 30 years now and have been using the old fashion pen and paper system for my studio. When I decided to expand and knew that I needed to become more organized & up to-date with my business on many levels I started to research different soft-ware companies that I thought would be a good fit. I started with one company ( not necessary to use the name), but discontinued it after being very over-whelmed and exhausted trying to figure it out. Then one day while I was on Face book I saw an ad for Zen planner and got very excited and called them. I started with a trial and then decided to give it a try. I then attended a personal training convention and they had a booth there and after speaking with one of the reps for Zen planner I knew I had made the right choice for my business. What I like most about Zen planner is the AMAZING customer service. They have the most well trained employees that take the time to explain everything to you to make sure your business is running smoothly with the software. They are patient, kind and never seem to get frustrated with me when I call with an issue. Then they follow up with a email explaining how to fix the problem if it should arise again. Since I started Zen planner my business runs smoother, is more organized and I am able to get all my clients on auto-pay. I still have yet to figure out all the in's and out's of the software but I know i made the right choice with choosing them for my business. It is a great software system, easy to learn and a must for your business to be up-to date with what you need to do. I am solving scheduling issues as well as payment issues. I now have all my clients on auto-pay and so i get paid with most of my clients on the 1st of every month therefore I can forecast my income and plan better for my business. I have benefited being more organized and also being able to run monthly reports. The software provides auto-mated emails for friendly reminders for workouts, events and up-dated credit card changes. That is very helpful and in some ways acts as a admin for me as well. Zen Planner has the BEST customer support I have ever experienced. They are quick to reply and they quickly and efficiently solve every issue. There is nothing that I've disliked about Zen Planner. Recently I noticed I had set up a membership options with some incorrect settings. I fixed it but wanted to verify that it was now set up correctly to avoid any issues. Zen Planner quickly got back to me and informed me that everything was correctly in place. "Great Student Management Software "
As a multi-art school zen planner allows you to assign rank and track rank in as many arts as a student participates in. I would like to have a prospect calendar where I can have a calendar view of all prospects that i need to contact. 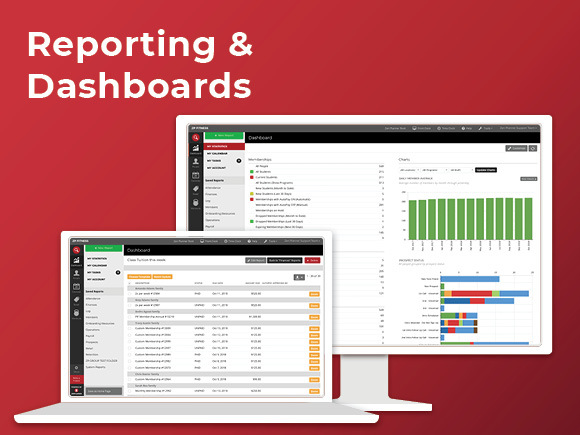 It is easy to use and the reporting is easily customizable for anything you need. I have to spend less time checking student accounts for delinquents, renewals, and prospects status because it all shows up in my customized dashboard. If I ever have a question I can always get immediate support and I always get suggestions to make my processes more efficient. Not being able to remember the names of all the super helpful team members. There are so many! Make Althe switch as soon as possible. You will not regret it. Prospect flow was a big issue and Chris helped me implement an almost completely automated process that does the majority of the work for me! "Zen planner staff and service is great"
Very responsive staff. If they don't know an answer they get back to you with one quickly. The product features are great and easy to use. The number of hoops I've had to jump through to set up automatic billing for my students, I've had to send and resend documents and information to various entities to set up a merchant account for credit card processing. "How Software Can Help You Towards a Better Workout"
each individual or group must evaluate the results they are looking for and the time period in which they hope to achieve it. They also must determine if the people will take the time to understand what Zen is looing to achieve and give it the time to work. If you can get the person to go over what Zen is trying to put forward they will see that they will have many benefits that they didn't have before, because it makes sure they slow down and follow a set pattern rather than going helter skelter thru their routine. Very very easy to use and understand. If I do have a question or problem the customer service reps at Zen are AWESOME, so very helpful and polite. Zen Planner is one of the Best decisions I ever made for my gym. I highly recommend using Zen Planner. It has simplified the management of my gym. So easy to understand and use. My previous software was complicated and hard to navigate. Zen Planner is sooo user friendly!! LOVE IT!! "Reliable and Simple Customer Management System"
I receive great service. So, if I encounter any issues or if I have questions I am quickly able to get a customer service rep who is well trained to help me find a solution. It's hard to find things that I don't like but I would love to see the retail kiosk and the WOD tracker continue to improve. The system makes it so easy for me to keep track of memberships and analyze new member trends as well as lost member issues. Most important is that I never have a system related issue that affects billing or collections. "It took some time to grow on me but now, I really like it!" I love the customer support. They are so patient and take their time dealing with any question I have and don't make me feel stupid! The start up of transferring all my info over to a new system was not fun at all. The customer support was great but change is hard and re-learning a new system too. It took time but now it is much easier to understand and navigate. Having consistent payments, reports, being able to keep up to date on all of our members attendance, birthdays and easy access to their info! It was very easy to input our coach's schedules and our clients. It was nice being able to check in our athletes with out needing additional help. The reporting tool is also very helpful. When we began to use it we ran into a few glitches and our kiosk was down a majority of the time, since then there has been a lot of changes and things are running smoothly now. Auto billing and renewals for our clients. It was a task for our sales manager but with the help of ZenPlanner we were able to take a bit off of their plate. Availability to respond to questions is a plus. Complexity of simple tasks, inability to create specific items for our business. Having to receive an automated email every time you contact support. If you are running a huge business with multiple classes/options this might be the best plan for you. If you are running a small to mid level martial art program with only 2 membership options (full and part time) it might be a bit overkill in some areas and not helpful in others. Ease of use, end user interface and customer support. Takes a little time getting familiar with the administrative functions of the software. Better customer interface, workout tracking, client tracking, and better interaction with clients are all issues being resolved with Zen Planner. "Easy to use, but too many options for my small studio. Lots of clicking." The client database should be able to be accessed when not online. Emailing options for expiring client programs is awesome...lets you know when you have to check with a client for payment. Too expencive to use their payment solution, paysafe. I like how I was able to use the software without all the complications I had to deal with with MindBody. The price point wasn't worth the value of the product. If you're using MindBody, switch to ZP immediately. I moved from MindBody to ZenPlanner and ZP is MUCH easier to navigate. "Easy planner for integrated lifestyle"
Ability to schedule my whole day and for clients without any hiccups.